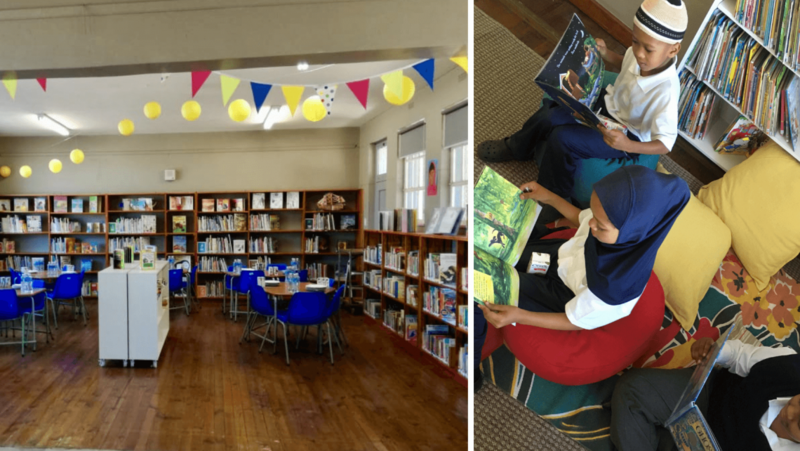 On the 13th of February 2019, Disa Primary School in Bonteheuwel officially opened a new school library. This incredible new space is a significant and crucial step towards instilling a love of reading among young learners, the majority of whom have little or no access to books at home. In fact, the closest public library is on the other side of a gang-ridden community, making it too dangerous for learners to visit on their own. But now Disa learners have access to books and research resources right on their school premises. The library is the result of a year-long collaboration between numerous partners who supplied, indexed and covered 4000 books. They also set up library software and transformed the space with refurbished shelves, custom units and creative interiors. I think the coming together of so many partners in support of the library is a beautiful picture of how, despite all the learners of Disa are up against – gangsterism, crime and violence in their community – there is a network of support and people saying, ‘We are rooting for you and want good for you, learners of Disa Primary and children of Bonteheuwel’. The Kamvalethu Foundation donated funds for all the soft furnishings and equipment needed to complete the library. Two cosy reading corners have been created, with bright cushions for children to sit on and read. There are new blinds on all the windows and a large mat provides space for group work. The Kamvalethu Foundation’s donation also funded a screen, projector and AV equipment, which enables classes to watch educational videos. 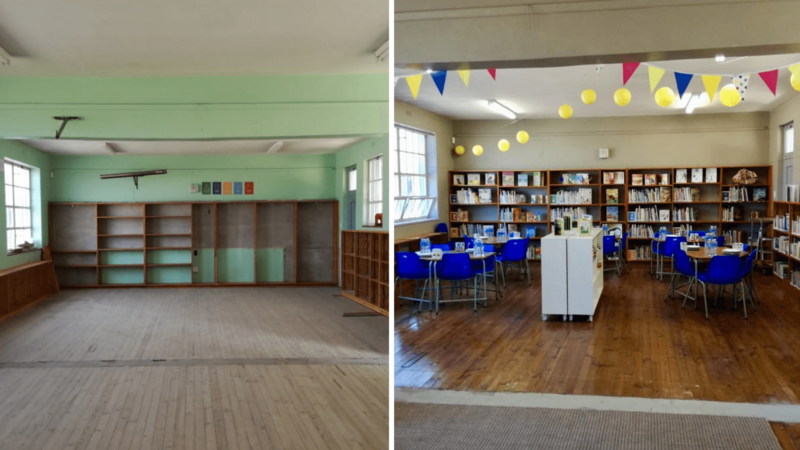 What was once an empty and unremarkable classroom is now a warm, inviting, child-friendly space. The Library has also been used as a meeting venue, not only for curriculum-based class time and break time but for various staff gatherings. It now hosts the School Management Team meetings and after school Teacher Professional Development sessions. “The beautiful new venue has really breathed life into these sessions with the staff,” says Common Good’s Lead Coach, Deon Newkirk. 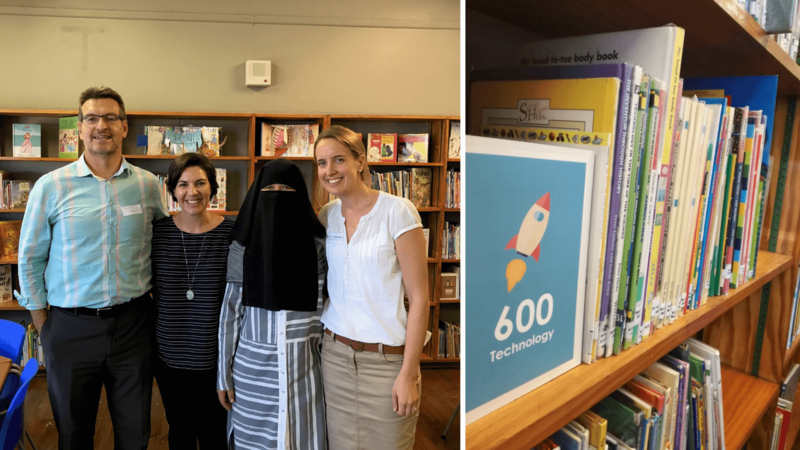 Teachers are now also using the library for class prep, research and admin – with many commenting that it is the first time they have had such an inspiring, calm place to work in. The new library at Disa has certainly become a happy hub in the school. A place to learn, work and be inspired in a beautiful, well-resourced and welcoming space. To stay up to date on how your contributions to The Kamvalethu Foundation are changing lives or learn more about how you can get involved and receive regular updates, subscribe to our newsletter.